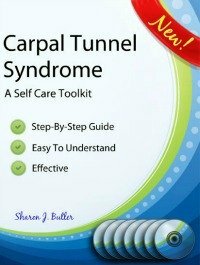 Order Your Carpal Tunnel Syndrome Toolkit Here! Would You Like To End Carpal Tunnel Pain? You want a permanent solution for your pain. And you want that solution to be safe, fast and effective. Here's how the Carpal Tunnel Syndrome Self Care Toolkit will help you reach your goals. The stretches and exercises in your Self Care Toolkit have been developed over 29 years of working with injured people. I have chosen the stretches and exercises that work best for Carpal Tunnel Syndrome so your recovery is as quick as possible. Every exercise is designed to target specific areas of your body most involved in your injury. Following the program, injured muscles and soft tissues will be encouraged to release in the exact order needed to get the fastest results. As your body changes and repairs itself, the stretches presented in your program will change as well. After each layer releases, the next release is encouraged by way of new stretches, or new additions to stretches that you are already doing in your program. Easy to understand drawings show you the correct stretch positions that will yield the quickest, most effective results. Each exercise is clearly explained, making it easy to practice correctly. Your muscles and soft tissues have many complex layers. Often, sources of strain or adhesion will remain "hidden" in deeper layers. I'll show you how to find and release all those hidden spots so your recovery is completed in the shortest amount of time possible. Super-effective stretching requires that you learn to control the speed of release, much like learning how to drive your car. Sometimes it's smart to go faster, and sometimes slower is the safest option. I'll show you how to easily master this skill so you get great results - FAST! Your body and your injury are unique to you. Your stretching routine should reflect that uniqueness. Starting with the core stretches in your Carpal Tunnel Syndrome Toolkit, I'll show you how to make tiny changes that will yield huge benefits by helping you create custom stretches that best suit your body. I've discovered that resting in a specific way as you are practicing your stretches will make your stretches work much better and faster. I'll show you how and when to add this rest cycle so you get the best possible results from your stretching program. While you are in the process of eliminating your injury, you still have a lot of living to do. I'll give you helpful tips to make your life more livable during recovery. The stress of an injury can be pretty hard to deal with at times. You'll learn useful tips to reduce your stress and put it all into perspective. There's still work to do, laundry piling up, and your next meal to prepare. I'll show you simple tips to get it all done without injuring yourself further. There are lots of ways that you can recover faster. Taking advantage of several of them can shorten your recovery time considerably. I'll share all my favorites with you. It's natural to be concerned any time you have an injury. But all that concern or fear can cause you to unconsciously change how you naturally move, which can lead to more pain. I'll teach you what you need to know to avoid the fear - pain- injury roller coaster. I am always searching for more ways to help sufferers of Carpal Tunnel Syndrome. With over 30 years of studying these injuries, I've built up a body of knowledge about healing and recovery that is quite uncommon... A treasure chest of simple, easy to understand, logical information that makes recovery easier. Knowing this "insider" information is like having the final piece of the puzzle - the master file on how to recover from thumb pain. Your Carpal Tunnel Syndrome Self Care Toolkit includes 3.75 hours of Coaching to help you recover, delivered in MP3 format. This 19 Minute Audio will guide you on a relaxing journey through your body, helping you to become more aware of sensations. These sensations are the body's way of telling you what's working and what's not working. You will feel refreshed, de-stressed and more in touch with your body than ever before. And now it's included FREE OF CHARGE! Where Will You Be In Six Weeks? 83 Page Carpal Tunnel Syndrome Self Care Program E-Book, available for immediate download. Immediately after purchase, you will be sent an email containing the current password and your download link. 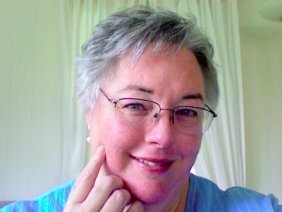 I hope you enjoy great success using the Carpal Tunnel Syndrome Self Care Toolkit! P.S. You are one click away from freedom from pain. Try a program for 60 days - risk free. P.P.S. Your name and email address is retained solely for the purpose of sending you notifications of improvements and upgrades of your Toolkit purchase. We never sell or share your email information with anyone.